“The Sunday Sessions” is a searing fly-on-the-wall journey, that follows a young actor’s troubled two-year quest to change his sexual orientation. Although the practice is outlawed in many states, Nathan – a passionately committed Catholic in his late twenties – voluntarily submits to treatment by controversial therapist, a gay man who now boasts of a new heterosexual life that includes a wife and children. 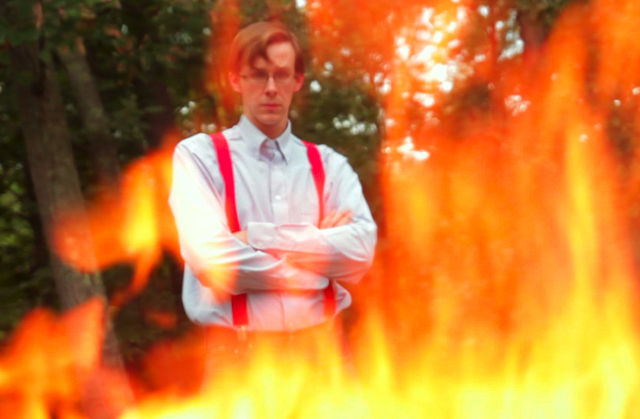 With unprecedented access to Nathan’s therapy sessions, which include bullying exercises and emotional confrontations with his parents, in addition to a stay at an all-male “conversion camp,” filmmaker Richard Yeagley lets the images speak for themselves as Nathan’s faith-based resolve is seen as increasingly at odds with his attraction to men. In a Podtalk with Patrick McDonald of HollywoodChicago.com, Director Richard Yeagley of “The Sunday Sessions” talks about the implications of Nathan’s journey with conversion therapy, and the miles to go in changing minds about this trend. “The Sunday Sessions” will screen at The Gene Siskel Film Center – 164 North State in Chicago – on Wednesday January 16th (6pm). It will be available for VOD download on February 5th. For more information on the Gene Siskel Film Center, click here.